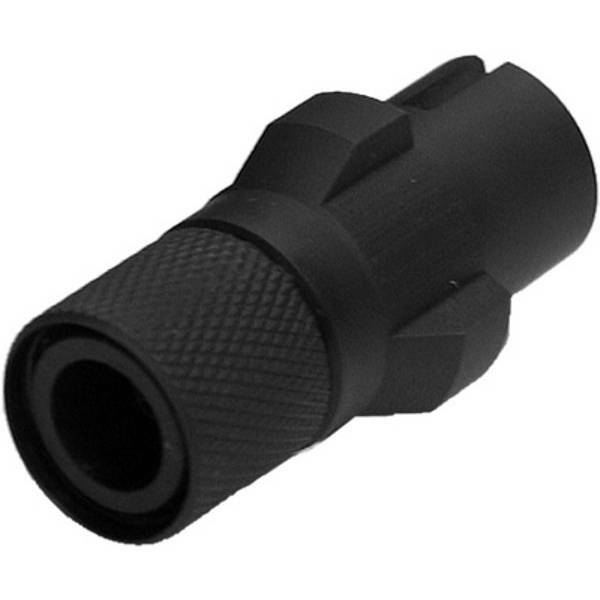 Steel Flash Hider for Marui MP5 A4/A5. Made by steel. 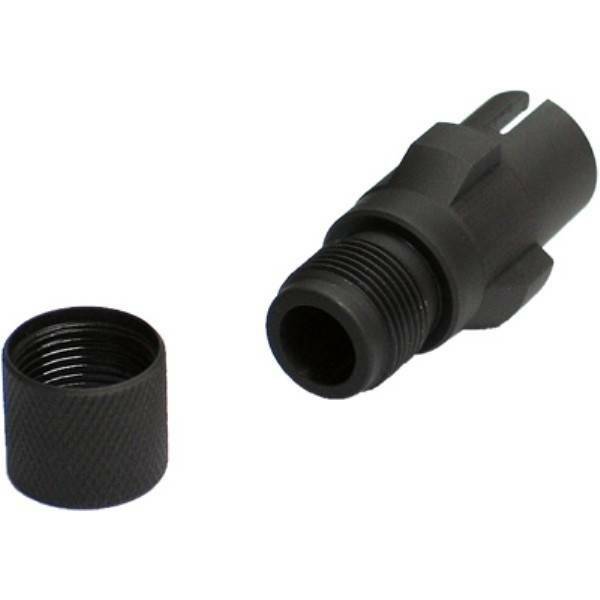 Manufacture by precise CNC machine. 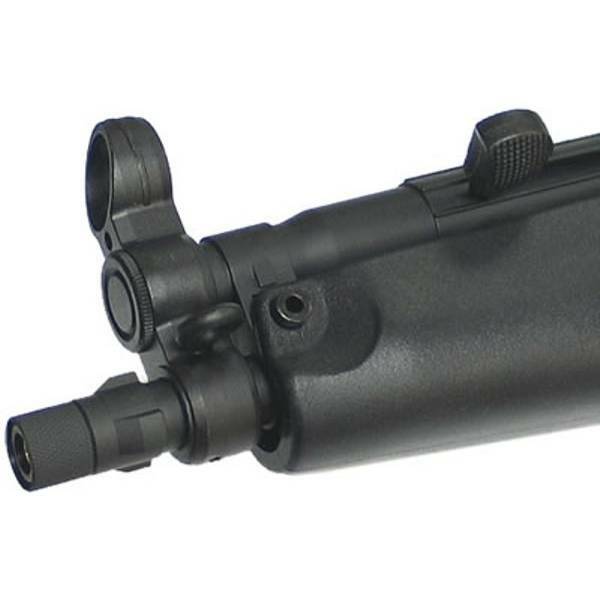 Can be used as an 14mm anti-clockwise silencer adaptor.